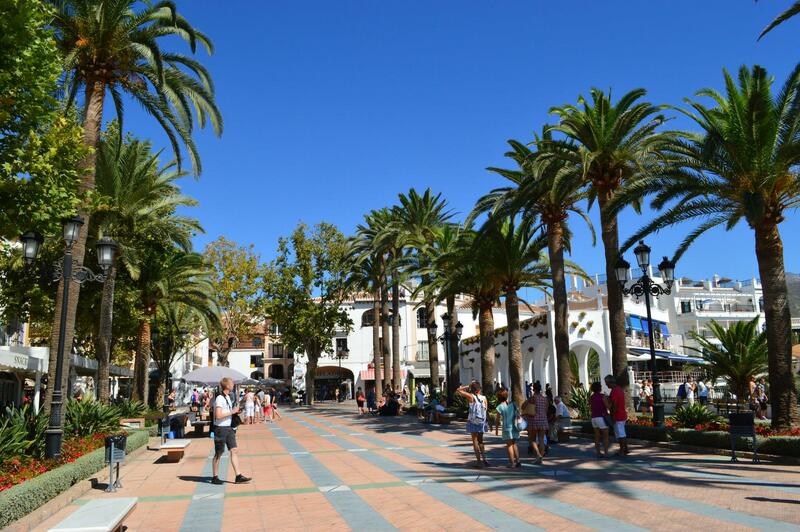 The Balcón de Europa is, without doubt, Nerja’s most iconic landmark and the focal point of the town. Everyone who visits Nerja eventually makes their way to the Balcón de Europa. Although documents have since been recovered suggesting that the balcony was named before the visit, the legend of the King’s influence remains widely accepted. Recognition of this was formalized with the construction of a life-sized statue of the King overlooking the balcony. A much loved and photographed monument. The Balcón de Europa is built upon a former fortress and gun battery known as "La Batería." The cannons were housed in huge towers that were strategically located along the coast. They were used primarily by the French against pirate raids and against the British. On the 20th of May, 1882, British ships opened fire and destroyed La Batería. Two rusty cannons and some rocks just off the Balcón are all that is left. 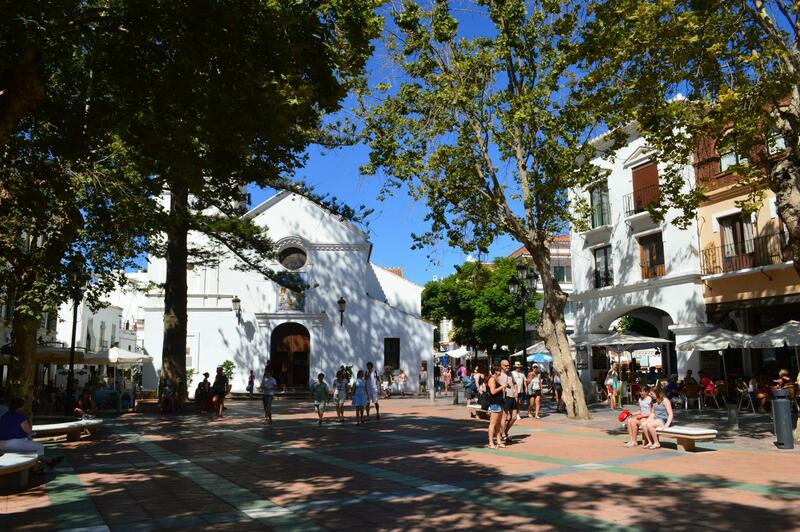 These days the Balcón is a hive of activity with countless bars, restaurants, cafés and ice cream parlours. During the summer, this area is the scene of many concerts and plays, and is always full of people having their evening ‘paseo.’ All big celebrations in Nerja seem to begin or end here. Also of note, is the Church of El Salvador – Iglesia El Salvador – situated on the edge of the Balcón de Europa. The baroque-neo classical styled church was finished in 1697, the bell tower was constructed in 1724 and further extended at the end of the 18th century. The final restoration project was completed in 1997. A popular church and set in an unbeatable location, it’s hardly surprising that it has one of the longest marriage waiting lists on the coast. The views from the Balcón are spectacular. 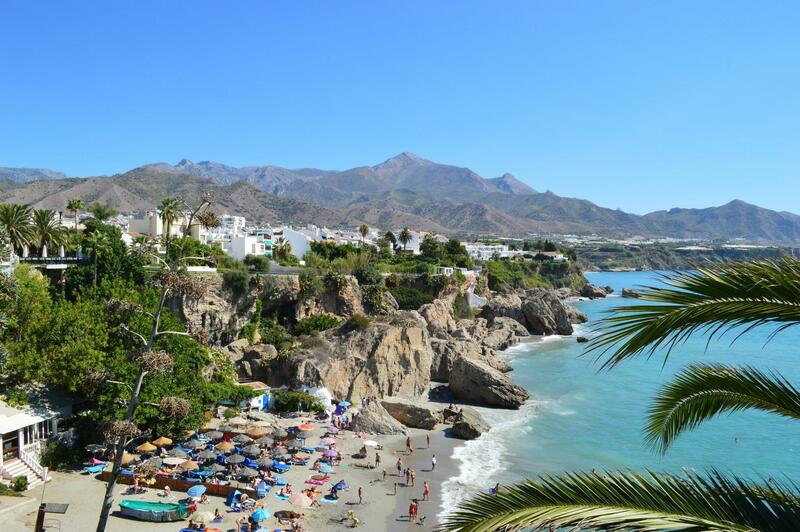 Immediately to your left you have Calahonda beach, the rocky outcrops that lead onto El Chorrillo beach and unobstructed views of the Maro-Cerro Gordo coastline. Looking rightwards towards Málaga you have La Caletilla beach, El Salon beach and the rocky promontory at Torrecilla and views over the Costa del Sol. The Balcón de Europa is clearly signposted from nearly all places in Nerja. The easiest way to get there is on foot, most of the area around it is pedestrianised. If lost, just ask, as everyone knows it. For additional information see our suggested things to see and do in Nerja and the Nerja beach guide.